Everyone will be buzzing about you in our Women’s Bumble Bee Costume. 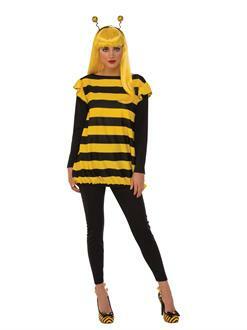 The tunic and leggings will transform you into the world’s biggest bee, while perfectly complimenting your honey sweet looks. Crown your noggin with the included boppers to truly bee-come the queen of the hive!